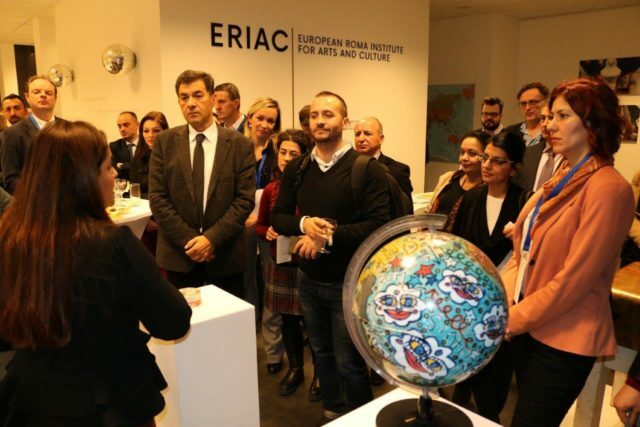 On 13 February 2018, participants of the Regional Conference “Addressing Discrimination and Anti-Gypsyism in the Enlargement Region” were invited to attend a reception at ERIAC’s Office and Art Space. 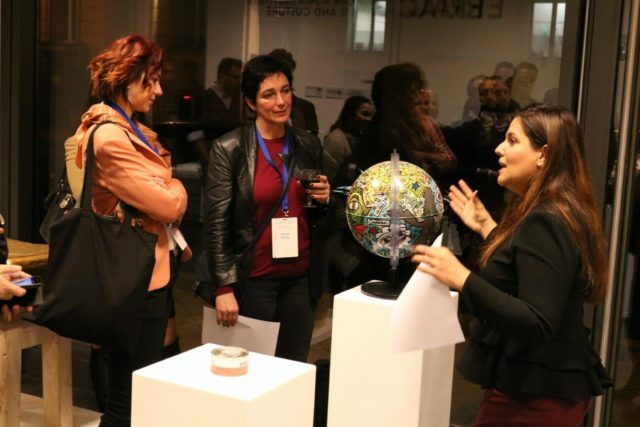 The Regional Conference was a two-day workshop addressing discrimination and anti-Gypsyism in the enlargement region, organized under the auspices of the Regional Cooperation Council’s (RCC) Roma Integration 2020 (RI2020) project. 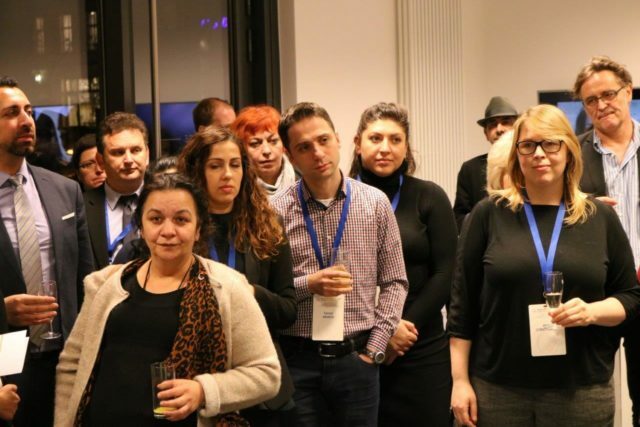 The main objective of the workshop, gathering more than 80 ministerial officials from the Western Balkans and Turkey, was to ensure officials from the enlargement region dealing with Roma integration recognize and understand discrimination against Roma and anti-Gypsyism. 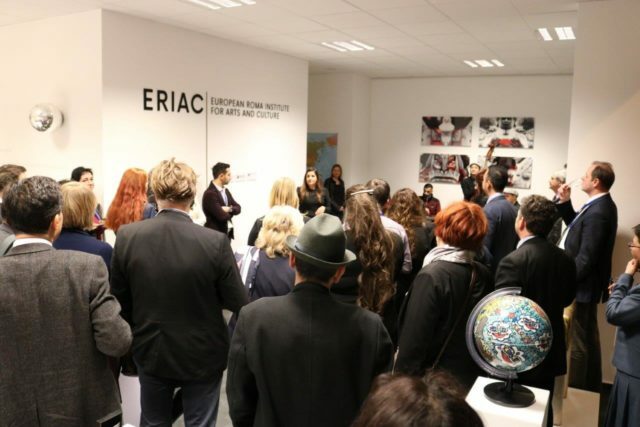 In the framework of the Conference, the participants were invited to attend visit ERIAC’s premises in Berlin. 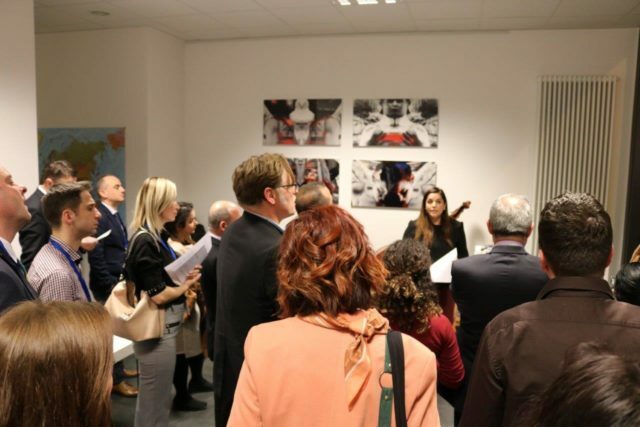 The event included a guided tour of the ERIAC exhibition “TRANSGRESSING THE PAST, SHAPING THE FUTURE”, by Timea Junghaus, Executive Director of ERIAC, a presentation of the ERIAC’s International Cultural Outreach Programe, and the premiere of the films from the events organized in the framework of the Outreach Programe. 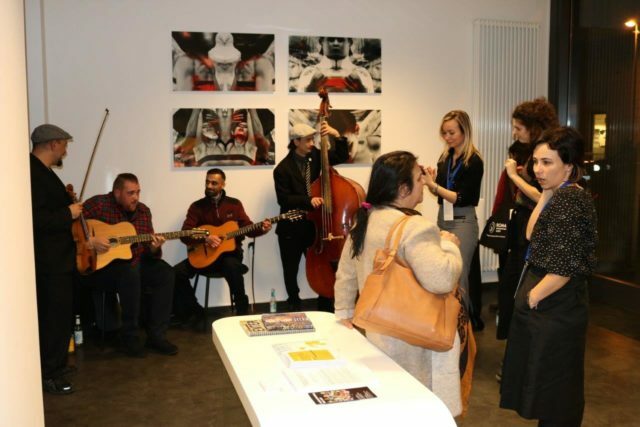 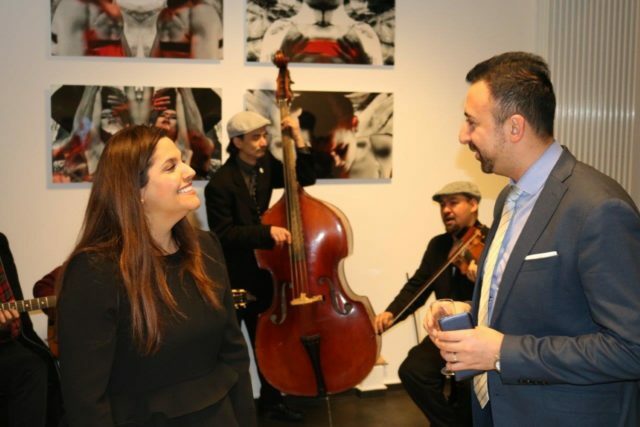 The reception was accompanied by Radio Çorel Quartett – a Roma ensemble composed of two guitarists, one bassist, and one violinist, who presented a selection of Sinto Swing music.